It’s great to hear about the newest phones and devices, but we’ve found a man who is on the front lines of innovation. Got one of them old Nintendo Entertainment Systems still lying around after 25 years? Well, you could play it, but if you’re not going to do that, why not turn it into one of the slowest flash drives available today? Well, Ed Lewis at Instructables can help you with that. 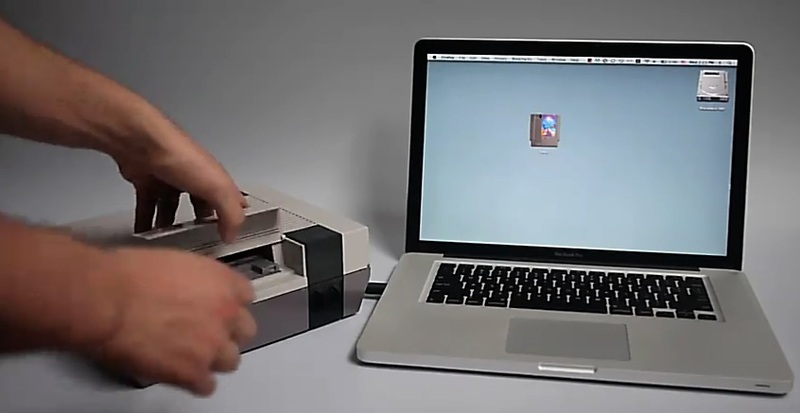 He turned a game cartridge into an 8GB flash drive and made the NES the port for it. A video demonstration is below. This is one of the cooler inventions we’ve seen lately, but the beer throwing mini fridge may still be our favorite. The Kraft automatic vending machine kiosk was fun too. If you know of any other cool inventions, mods, or stuff, shoot me an email or contact me on Twitter.